What Is the Ideal Home Temperature for a Newborn? Bringing a new baby home can be both joyful and stressful. Getting everything right can be a challenge, particularly for new parents, as you want your home to be both safe and comfortable. One of the chief concerns is ensuring the ideal room temperature for a newborn. While a chilly nursery can make a baby fussy, an overheated one can be downright dangerous, increasing the risk of sudden infant death syndrome (SIDS). SIDS is a terrifying and confusing concept to most parents. 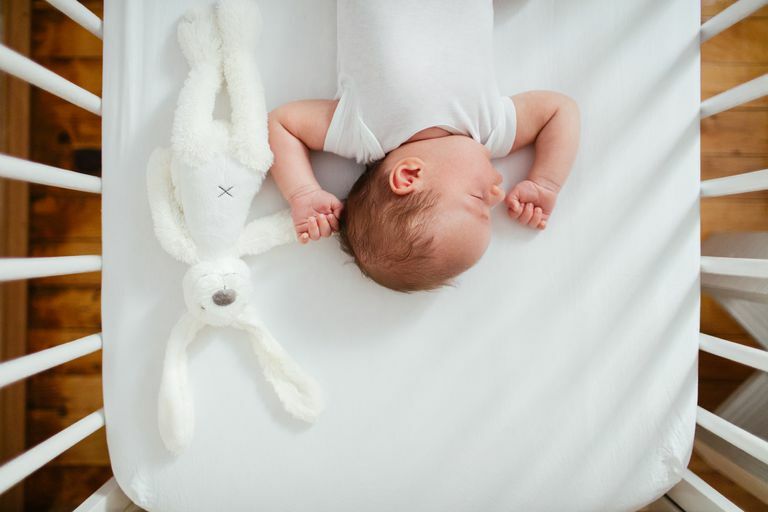 While there a number of factors associated with the syndrome, SIDS are largely associated with overheating since higher temperatures make it make difficult for a baby to wake up to external stimuli. Broadly speaking, SIDS is caused when a baby is unable to wake when something goes wrong physiologically. Instead of crying out in distress, the overheated child will more likely remain silent. By the time the parents arrive to rouse the baby, the problem may have already progressed irreparably. To avoid this, you need to maintain the baby's room at lower temperatures. Most experts recommend that you keep your home at between 68 to 72 F. This may require heating the house in winter and cooling it in summer while dressing the baby appropriately to the temperature. Use lighter bedding and baby clothing. Open the bedroom door and a window if it is safe to do so. If you have air conditioning, do not place the baby directly the air stream as it tends to extra-cold. If you use a fan, do not aim it directly at the baby. During the summer, you need to ensure the baby has sufficient fluids if he or she is bottle-fed. Fully breastfed babies usually do not need extra fluids. Temperatures of up to 75 F may be acceptable in very hot climates. Unless it is extremely cold inside, it is usually unnecessary to keep the heat on all night. Leaving it on can steadily raise temperatures without you even knowing it. Instead, dress the baby in one extra layer than what you are wearing yourself. Never over bundle the child. Do not put a hat on your baby when indoors as the head is important in regulating body temperature. If you need to heat the room, do not place a space heater near the baby or direct a blow heater in the baby's direction. Keep comforters, quilts, and blankets out of the crib as the baby may accidentally slip underneath one and become overheated. The American Academy of Pediatrics recommends that the infant is "lightly clothed for sleep" and that the room temperature is kept "comfortable for a lightly clothed adult." Moreover, babies should be placed on their backs in the crib during the first year of life whether for napping or at nighttime. The best way to check your baby’s temperature is to place your hand on the skin of the stomach or the back of the neck. Do not use hands or feet as a guide as they will always feel cooler than the rest of the body. If the skin ever feels hot, clammy, or sweaty, remove one or more layers of clothing as needed. American Academy of Pediatrics. "The SIDS and Other Sleep-Related Infant Deaths: Expansion of Recommendations for a Safe Infant Sleeping Environment." Pediatrics. 2011; 128:1030-9. What Is Lanugo and Is It a Cause for Concern in Newborns?